Why Won't The Foreign Office Help? Human Rights Wast has condemned Thailand’s Anti-Corruption Commission for dismissing a malfeasance case against former government officials for their role in the orders to shoot at demonstrators during the 2010 crackdown on the ‘Red Shirts’. And HRW has accused the current government of ‘airbrushing’ Thai history. As pretty much all of Thai history is airbrushed at elementary school level in Thailandand the best place to study it is abroad the latter is not a new accusation. But the accusations against the Anti-Corruption Commission are of concern because powers have already been removed from the Department of Special Investigations, which is being used against for political purposes, and also the Thai National Human Rights Commission. The cases were brought against former PM Abhisit Vejajjiva, his deputy Suthep Thaugsuban, and former army chief General Anupong Paojinda. It is however not unusual for the Thai Army to be acquitted of atrocities, or indeed even brought to account. The current military government of General Prayuth Chan-Ocha has claimed it has stepped in to clear corruption in Thailand – and it has indeed moved against corrupt elements in the National Police force. But its most dramatic move to clear out the Central Investigation Bureau and Crime Suppression Division which was running rackets including selling police appointments and illegal trading in oil and wildlife, and gambling was taken because the order came from outside the police. It is highly unlikely action would have been taken otherwise. Andrew-Drummond.com has been blocked in Thailand for nine months, but although this site has reported on continued army corruption, that may not be the reason. It may be connected to a convicted criminal who two years ago tried but failed to get the government to withdraw my press accreditation. Both the Ministries of Foreign Affairs and Communications have failed to reply to questions from the Foreign Correspondents Club of Thailand, which itself has had to cancel a number of events due to government threats. (New York, January 7, 2016) – Thailand’s anti-corruption commission’s dismissal of malfeasance charges against former senior officials for their role in the violent 2010 crackdown on “Red Shirt” protesters is a serious setback for accountability in the country, Human Rights Watch said today. On December 29, 2015, the National Anti-Corruption Commission (NACC) voted to drop the case against former prime minister Abhisit Vejjajiva, his deputy Suthep Thaugsuban, and former army chief Gen. Anupong Paojinda regarding their failure to review the use of military force that resulted in the loss of lives and the destruction of property, and dereliction of duty. 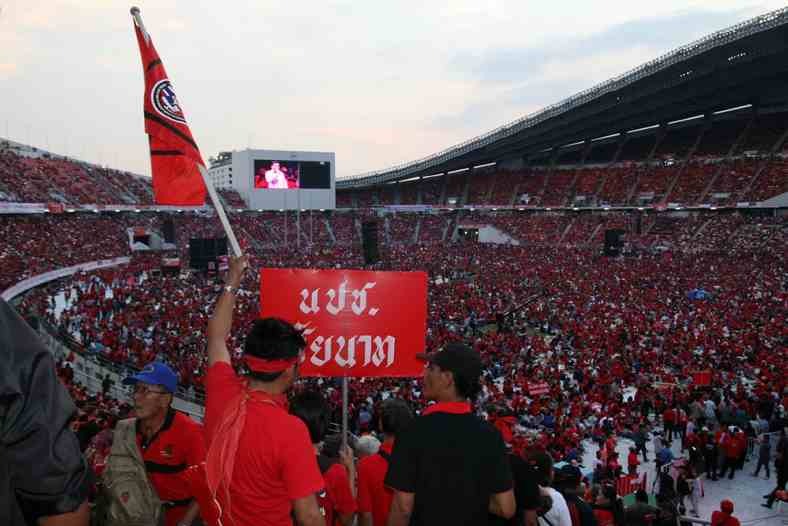 The military crackdown on the United Front for Democracy against Dictatorship (UDD), known as the “Red Shirts,” took place between April 7 and May 19, 2010, and resulted in at least 98 deaths and more than 2,000 injuries. The NACC, citing the Bangkok Civil Court’s ruling on April 22, 2010 that the Red Shirt protests were not peaceful and some protesters were armed, ruled that it was necessary for the three officials to order soldiers to carry weapons and use force to reclaim protest sites. The NACC found that it was sufficient that soldiers were ordered to proceed from light to heavy measures in accordance with standard procedures and not to target unarmed protesters. The Justice Ministry’s Department of Special Investigation (DSI) had charged Abhisit and Suthep with murder and attempted murder under the doctrine of command responsibility for ordering the military crackdown on Red Shirt protesters in 2010. The DSI filed the charges after inquests found that protesters were killed and wounded by gunshots fired by soldiers acting on the orders of the Center of the Resolution of the Emergency Situation (CRES), which Abhisit set up under Suthep’s command. 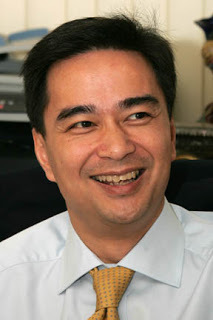 On August 28, 2014, the Bangkok Criminal Court ruled that it had no jurisdiction to try Abhisit and Suthep because they were political officeholders at the time. Instead, the court referred the case to the NACC – which is responsible for inquiries regarding abuse of official positions – to determine whether there was sufficient evidence to proceed with a case of malfeasance in the Supreme Court’s Criminal Division for Holders of Political Positions. Contrary to the NACC’s conclusion that the use of force by the CRES was justified and followed standard procedures, Human Rights Watch found that soldiers used live ammunition starting on the afternoon of April 10, 2010 – killing and wounding protesters, journalists, and bystanders – many hours before the armed “Black Shirt” militants, who operated in tandem with protesters, showed up and fought with soldiers. Human Rights Watch’s May 2011 report, “Descent into Chaos: Thailand’s 2010 Red Shirt Protests and the Government Crackdown,” documented that excessive and unnecessary force by the military caused many deaths and injuries during the 2010 political confrontations. The high number of casualties – including unarmed protesters, volunteer medics, reporters, photographers, and bystanders – resulted in part from the enforcement of “live fire zones” around the UDD protest sites in Bangkok, where sharpshooters and snipers were deployed by the CRES. Human Rights Watch also documented that some elements of the UDD, including armed Black Shirt militants, committed deadly attacks on soldiers, police, and civilians. Some UDD leaders incited violence with inflammatory speeches to demonstrators, urging their supporters to carry out riots, arson attacks, and looting. The prospects for justice for victims of the 2010 violence have long been bleak, Human Rights Watch said. The Department of Special Investigation issued a finding in September 2012 that indicated the military was culpable for 36 deaths. However, insufficient efforts have been made to identify the soldiers and commanding officers responsible for the shootings. Under pressure from the military, successive Thai governments charged UDD leaders and supporters with serious criminal offenses but ignored abuses by soldiers. The Thai government should direct the Department of Special Investigation to identify and bring to justice those responsible for the deaths and injuries during the May 2010 violence without further delay, Human Rights Watch said. Hmmm. I was certainly glad to see the back of Thaksin Kelvin. This report in the main is from Human Rights Watch, and Thailand does have to be concerned if the Anti-Corruption Commission is not completely independent – and there is evidence that they have dropped certain other enquiries. So please tell me how it works and which part was sensational. Only the yellow shirts are allowed to have a go at mob rule. They actually tried over and over to provoke the police into violent confrontations. According to the US Ambassador and the wiki-leaks memos, yellow shirts were tossing grenades into their own crowd to prompt a coup. Mob rule works for team yellow so the red shirts tried the same. Bad idea. The army is above the law and gunning down 90 people is no problem. "….. a malfeasance case against former government officials for their role in the orders to shoot at demonstrators…." Has it ever been confirmed that orders were given to "shoot at demonstrators". That is entirely different and holds more culpability than allowing use of live ammunition for self defense. If no such orders were given then the above quote seems a gross misrepresentation of the situation.